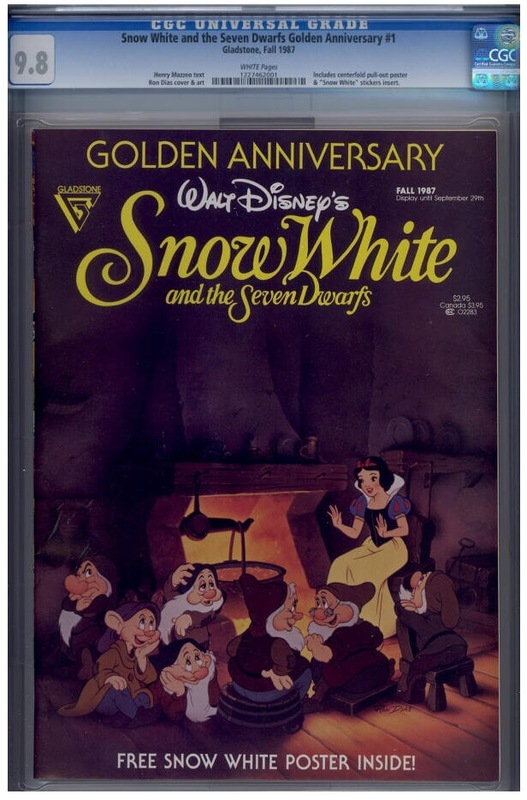 Comments Golden Anniversary of Snow White and the 7 Dwarfs magazine by Gladstone. Have 2 CGC 9.8's, highest in census, and the only ones 9.8. 1 case got cracked a little, details on site. $160 for it, $200 for the better one. See all my CGC graded comics for sale on my site at: http://collectibleshop.tripod.com/cgc-graded-comics.htm . THEN PLEASE READ MY HOW TO ORDER PAGE BEFORE CONTACTING ME, thanks.